So this week I missed my Monday Motivation post. Normally I schedule those to post the Sunday before, but I took the baby to visit some family and then had a mini-vacation on Monday and Tuesday. So instead of posting some motivation to start you week, I thought I'd share a little something to help get you over the hump. The little things really are what's important in life. The older I get, the more I know it's true. Hope everyone has a great rest of the week and fabulous 4th of July! 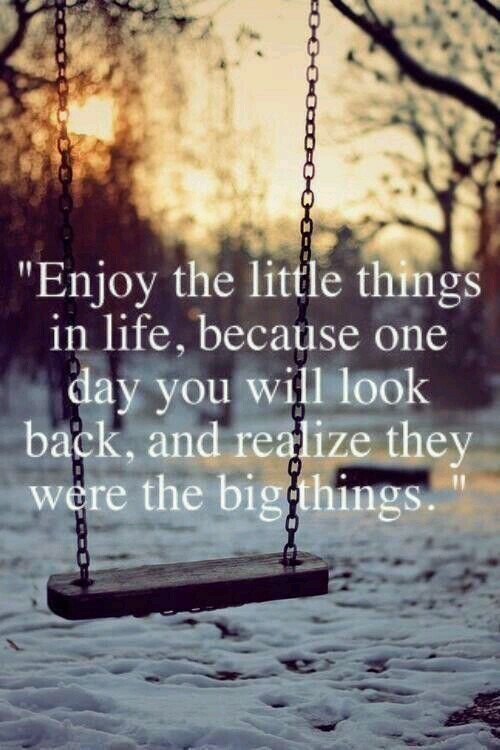 And remember, enjoy the little things. Hi, dear Ashton! This is great advice. If you are already coming to realize it at your age you will be even more congruent about it when you get to be my age. I hope you are enjoying your "little thing" and that she is a healthy and happy girl. My grandson is now six weeks old and is doing fine and gaining weight. Have a safe and happy Independence Day weekend, dear friend Ashton!